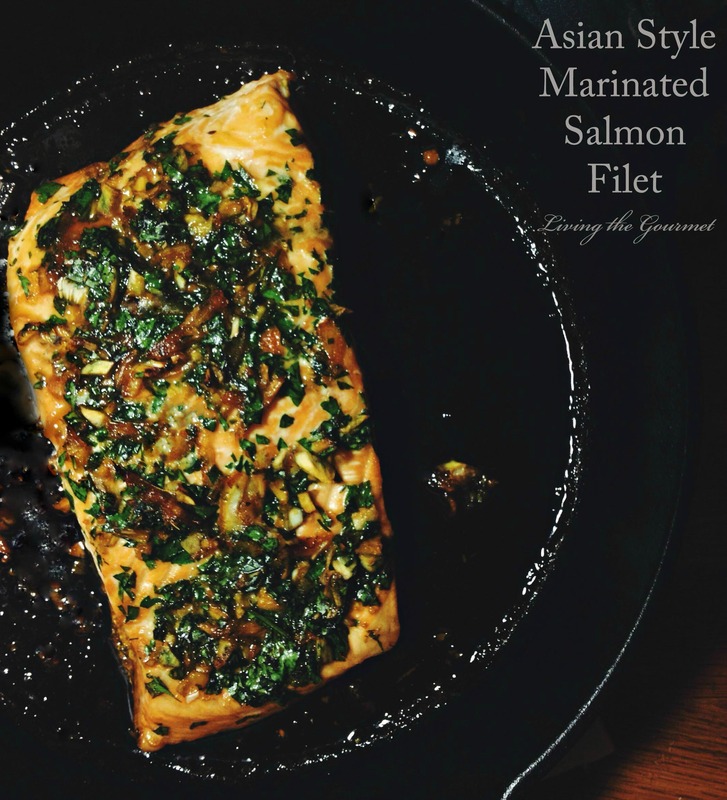 Buttery salmon marinated in a marmalade & Asian-style sauce will make this meal your weeknight go-to. It is so simple to prepare. I thought this has not been on the menu in a very, very long time. I do believe we all need a bit of a treat now and then and this was the “now and then” moment!! I knew this was going to be fun. I have not made a fish dinner in some time and I was looking forward to it. There are many things in this world that bring pleasure; though the joy of eating a meal together really has to be at the top of the list for making lasting memories. 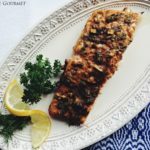 Of course this factor is ramped up if the meal happens to be one that is a favorite and this salmon dish happens to be my daughter’s favorite. 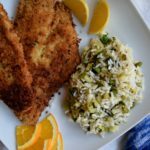 The dish is really quite simple to prepare and cooks up quickly. Combine all of the ingredients for the marinade. Place the salmon in the marinade and cover. Refrigerate for at least one hour. Place the salmon in a cast iron pan; skin side down. Top with the marinade and bake for approximately 30 minutes or until the salmon flakes easily with a fork. This looks amazing!! I love salmon...can't wait to try it! Pinning and sharing! The color on that filet is fantastic. I love the flavor combo you've created. MMM yummy! This salmon looks heavenly delisious! 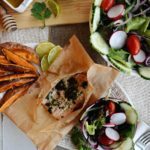 Salmon is so hot right now, I'm seeing it everywhere - and I'm loving it! Your recipe sounds absolutely delicious - mouthwatering photo!! big salmon fans here too! ours often has Asian accents, too. I love all the ingredients in this delicious sounding recipe! Always looking for different ways to make salmon so this is a must try. Always looking for new fish Friday recipes. Thanks Catherine! Exactly my kind of meal. Flavors are spot on! sounds great and looks delicious--special enough for when the grown kids stop by for dinner. thanks for sharing. Gooorgeous! Loving how simple it is to make and of course those Asian flavors! This looks like it would have lots of flavor! I cook fresh salmon maybe twice a week. I haven't made salmon in so long! You have inspired me! I definitely enjoy salmon.. and with Asian twist even better! What a marvelous photo, that last, Catherine. Makes you want to plan that recipe for dinner! Love those Asian flavors with salmon. I too adore salmon. This looks amazingly delicious. This looks amazing!! I love the Asian flavors, I bet this tastes delicious. Love your photos as well! I love Salmon and this looks delicious. 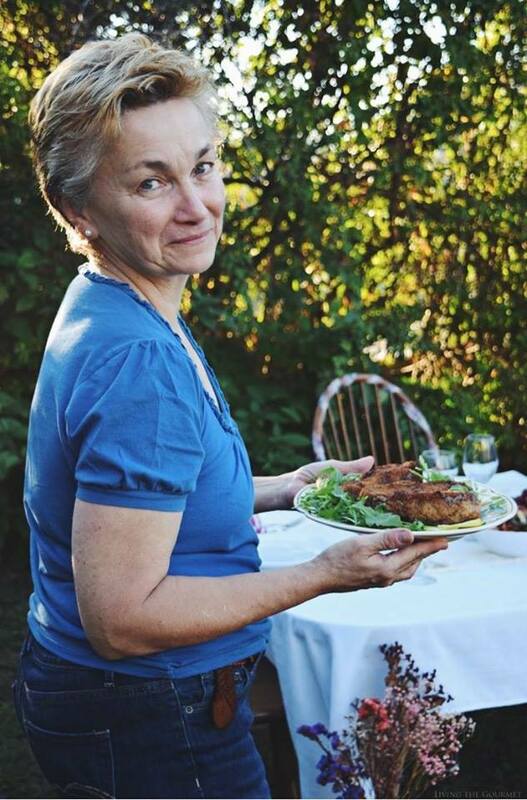 Thanks for sharing on Real Food Friday. Pinned & twitted. This looks like a great recipe. Pinning! I love your recipe and for the fact it has a hint of apricot. I actually have fish for dinner tonight so might give this a try. I found you at #merrymonday, so glad to have found a blog to read! Oh my gosh! 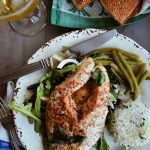 Salmon is my absolute favorite type of fish, and I'm always hunting for new inventive recipes. This looks delicious! I will try it soon. I love your recipe. I will definitely try this! I love teriyaki sauce on salmon. Yum. Another Pinner! Thanks for linking up on Best of the Weekend! I can imagine this tastes absolutely delicious! I love the Asian flavours. Thanks for linking up to Sweet and Savoury Sunday, stop by and link up again. Have a great day!! Looks dynamite and like it is much more work than it really is. I haven't had salmon in a very long time. 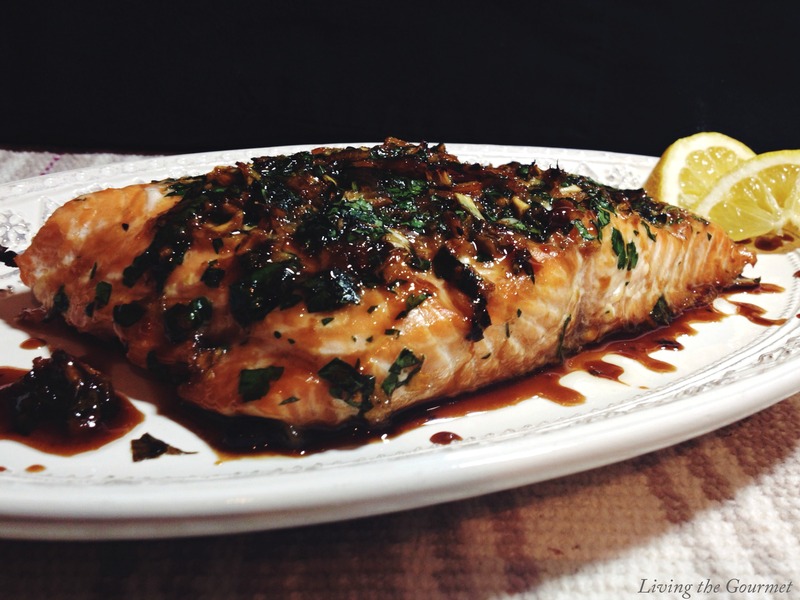 This is a great way to marinate salmon! 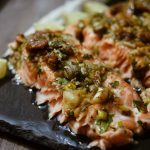 We usually do pesto and walnuts on top of salmon but this might be great to try too!